What's for dinner? 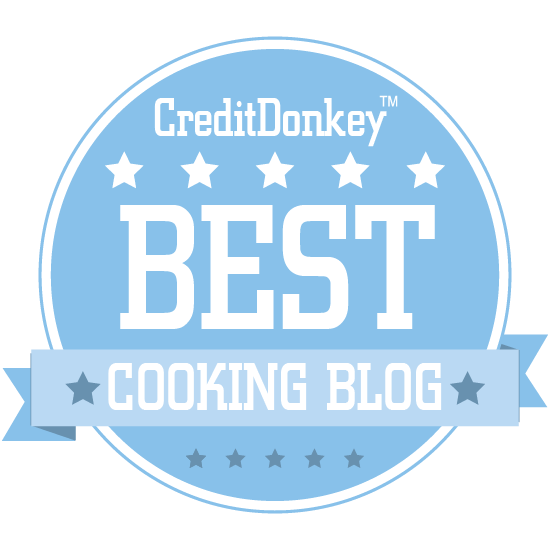 You will always have an answer when you follow the winners of the CreditDonkey Best Home Cooking Blogs. When you know the best blogs to follow for home-cooked meal ideas and tips, you'll set yourself up for yummy meals and a more palatable budget too. 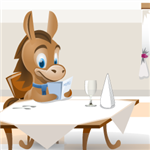 In all our CreditDonkey coverage of helping readers save smartly and spend wisely, food is always one of the biggest budget busters. We all have to eat, so where a lot of our money goes - daily lattes, pricey paninis, and last-minute takeout dinners - is straight to our stomach. Most of us know that the better option for our health and our wallets is cooking meals at home, but it's not easy to pick up the habit or know where to turn to keep the ideas coming. The best blogs that focus on cooking keep your dinner table fresh with regular updates of recipes and inspiration for your next meal. On our list, you'll find ideas for home-style dishes and building meals around ingredients that are in season, as well as comfort foods that'll be a hit when you present what you've made at the family table. Don't waste your time or spend more than you need to on buying cookbooks. And don't bother searching around for home-cooking blogs yourself - you'll get lost as there are so many blogs out there. We've narrowed down the many home-cooking bloggers to create a list of only the very best home cooking blogs. When you need a stable of go-to meals and access to new dishes so you don't get burned out, tap your favorite home-cooking bloggers, based on the list below. Simply Recipes shares wholesome, home-style recipes that are perfect for family meals. Why Simply Recipes is a Top Home Cooking Blog: The sidebar can help you navigate by diet type, main recipe, season, and other categories to easily find new recipes to try. Skinnytaste is a food blog run by author, photographer, and recipe developer Gina Homolka, and it is designed to inspire seasonal, light, and fresh meals that your whole family will enjoy. Why Skinnytaste is a Top Home Cooking Blog: Skinnytaste's seasonal recipes will help you transform your routine menus by making the most of seasonal produce options. Damn Delicious is a recipe blog run by home cook Chungah Ree, made to bring you easy, fast, and healthy recipes. Why Damn Delicious is a Top Home Cooking Blog: Damn Delicious offers a huge variety of recipes, from "quick & easy" to soup and even dog food. Chocolate and Zucchini is a blog created by Clotilde Dusoulier, who wants to get you excited about the small joys of the kitchen and daily cooking. Why Chocolate & Zucchini is a Top Home Cooking Blog: Check out the tips & tricks archive for all sorts of French cooking methods to spice up your next meal. 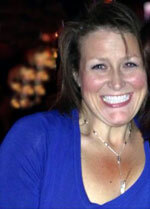 The Steamy Kitchen blog contains tons of recipes and is run by Jaden Hair and her husband Scott. Why Steamy Kitchen is a Top Home Cooking Blog: Steamy Kitchen offers over 1,000 recipes for cooks of any level. 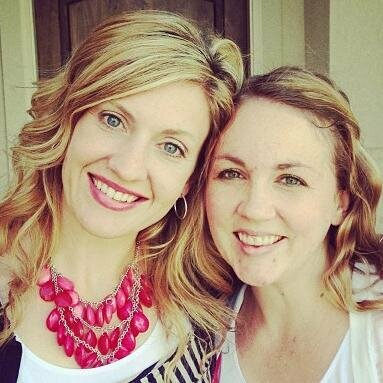 Our Best Bites is run by two Mormon moms, Sara and Kate, who want to bring healthy and cheap recipe options to the world. Why Our Best Bites is a Top Home Cooking Blog: Their recipe index has a great "30 minute meals" tab if you need some fast and easy options. The Not Without Salt blog has recipes and journal entries that cover food that simply tastes good (forget the health food.). Why Not Without Salt is a Top Home Cooking Blog: The overall aesthetic of the recipe section is very appealing and makes you want to try out a new recipe. Rasa Malaysia is a home cooking recipe blog, with a focus on American and Asian American cuisines. Why Rasa Malaysia is a Top Home Cooking Blog: Start with Rasa Malaysia's gallery to get inspiration for a new dish. Cooking with Amy is a recipe and food blog that was established in 2003 and has been going strong ever since. Why Cooking with Amy is a Top Home Cooking Blog: You can't have a successful blog for over ten years without some interesting recipes, so prepare to be amazed. Cannelle et Vanille blog is run by Aran, a former Basque resident now living in the U.S. who uses her international experience to develop amazing recipes. Why Cannelle et Vanille is a Top Home Cooking Blog: If you are looking for a new cuisine to try, hit up the recipes section for a comprehensive list of Basque-inspired creations. Leite's Culinaria was established in 1999 to educate and entertain cooks and readers of all levels who are interested in the diverse world of food. Why Leite's Culinaria is a Top Home Cooking Blog: Leite's Culinaria has one of the most comprehensive recipe sections, broken down by several food categories and eating styles. The Foodie with Family blog features original recipes from Rebecca Lindamood, former full-time chef and cookbook author. Why Foodie with Family is a Top Home Cooking Blog: Rebecca shares plenty of her recipes in the recipe index; you can find recipes by category, date, or a general search. CopyKat recipes was created by Stephanie Manley in 1995 as a way to document her family recipes, now it has grown into a full-blown recipe blog. Why CopyKat Recipes is a Top Home Cooking Blog: Start with the archives to find a blog post that you find most interesting - there is plenty to choose from. Add a Pinch blog is updated several times a week with new recipes and foodie content. 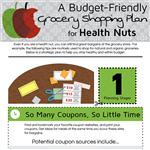 Why Add a Pinch is a Top Home Cooking Blog: The weekly meal plans at Add a Pinch will help anyone who is starting to plan ahead. 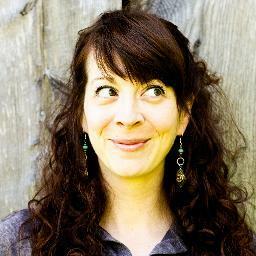 Katie Goodman is a self-proclaimed "recipe addict" and creator of GoodLife Eats recipe blog. Why GoodLife Eats is a Top Home Cooking Blog: Check out the "kitchen tips" section to find out how to make homemade popcorn, citrus sugar, and much more. The Oh, Sweet Basil blog was designed by couple Cade and Carrian as a way to "reinvent family dinner." Why Oh, Sweet Basil is a Top Home Cooking Blog: Learn how to make and store pesto, caramelize peppers, and more in their "how-to" section. Table for Two blog is a Washington D.C.-based recipe and food blog designed as a central location to store its founder Julie's recipes. Why Table for Two is a Top Home Cooking Blog: In her "beyond the table" section, Julie provides inspiration for home cooks and homemakers alike. Home Cooking Memories is a family food blog that not only shares creative and easy recipes, but also shares modern recipe saving techniques and ideas to preserve your own recipes. Why Home Cooking Memories is a Top Home Cooking Blog: Home Cooking Memories has a ton of tips and insight about how to preserve your kitchen memories, along with recipes to help you expand your cooking knowledge. Yummy Mummy Kitchen is a food blog designed to help moms create healthy meals for their family. Why Yummy Mummy Kitchen is a Top Home Cooking Blog: Yummy Mummy focuses on vegan and vegetarian options, and is chock full of new recipes like slow-cooker vegan chili and vegan peanut butter balls. Chelsea's Messy Apron is a home-cooking blog designed to document recipes that Chelsea creates and approves of. Why Chelsea's Messy Apron is a Top Home Cooking Blog: If you are a beginner in the kitchen, Chelsea's Messy Apron offers a variety of easy recipes to start with. Shockingly Delicious is a home cooking website that provides simple-to-prepare, tried and true recipes, tips and coaching to help you become a fabulous home cook. Why Shockingly Delicious is a Top Home Cooking Blog: Shockingly Delicious has a shocking amount of content, and not just recipes - head there to find reviews, holiday ideas and more. Foodness Gracious is run by Gerry, a new stay-at-home father, who wants to deliver easy, fresh, and delicious recipes to the world. Why Foodness Gracious is a Top Home Cooking Blog: Goodness Gracious. Foodness Gracious has quite the recipe arsenal - check out their skirt steak with truffle oil Parmesan fries recipe if you are so inclined. 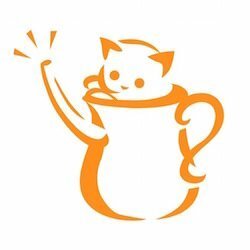 The Kittchen is a site full of Kit Graham's original recipes, restaurant reviews, and travel adventures. Why The Kittchen is a Top Home Cooking Blog: You can't go wrong with The Kittchen blog - find some homestyle recipes and get started. 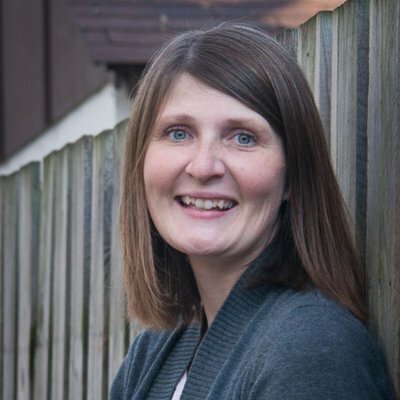 Lovely Little Kitchen blog is run by Julie, mother of three; it's where she shares her recipes and creations with the world. Why Lovely Little Kitchen is a Top Home Cooking Blog: Her "Bits & Pieces" section brings culinary and style inspiration to your kitchen and is definitely worth checking out. Cooking with Ruthie is a food blog that was born out of inspiration from Ruthie's grandmother, who had a cooking show in the 60s. Why Cooking with Ruthie is a Top Home Cooking Blog: If you want some tried and true homestyle recipes, look no further, as Cooking with Ruthie offers tons of options. Call Me PMC is a food and recipe blog designed for new cooks, with easy to prepare recipes and simple ingredients. Why Call Me PMC is a Top Home Cooking Blog: Call Me PMC has great recipes for beginners, such as recipes with just 3 Ingredients, recipes that take under 30 minutes to prepare, manly recipes from her husband, and even suggestions for leftovers or what she calls "encore meals." Chew Out Loud is a foodie and recipe blog that features inspired recipes with proper credit given, as well as their own tried and true homegrown recipes. Why Chew Out Loud is a Top Home Cooking Blog: You can find some amazing recipes on Chew Out Loud - Paleo tahini dip, black bean avocado dip, and autumn pumpkin hummus, just to name a few. Everybody Likes Sandwiches is a wholesome food blog run by Jeannette Ordas (aka Kickpleat), who shares her passion for food in a uncomplicated and straightforward way. Why Everybody Likes Sandwiches is a Top Home Cooking Blog: If you hate complicated recipes and finicky dishes, look no further, because Everybody Likes Sandwiches delivers (and not just sandwiches - plenty of recipes, too.). 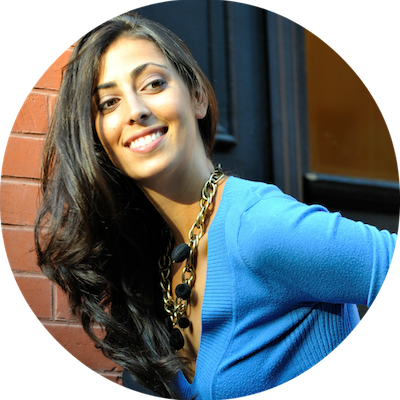 Olivia is originally from Sao Paulo, Brazil, but now resides in New York City, and wants to help you discover your international knack, with "the best of the best from around the world." Why Olivia's Cuisine is a Top Home Cooking Blog: Check out Olivia's recipe index to find the Brazilian Epic Burger with Egg - you will not be disappointed. 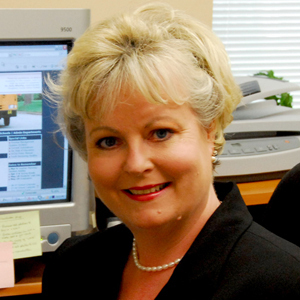 Donna Currie is a cookbook author and food writer many well-known food columns, and shares her expertise on her personal blog, Cookistry. Why Cookistry is a Top Home Cooking Blog: If you want to learn more about baking bread, Cookistry is an amazing place to start - hit up the "About Bread" section and start reading. Cupcake Diaries blog offers easy-to-follow recipes that your whole family will enjoy. Why Cupcake Diaries is a Top Home Cooking Blog: Make sure to check out the "Recipe Round Ups" from Cupcake Diaries to see the top 10 posts of 2016, 4th of July ideas and plenty more. The Daring Gourmet blog is filled with easy-to-follow gourmet recipes and other lifestyle tips. Why The Daring Gourmet is a Top Home Cooking Blog: If you are feeling like your kitchen creativity is on the decline, make sure to check out The Daring Gourmet for some new recipes to spice up your culinary creations. Mama Miss blog features more than just recipes, with features on kid's crafts and activities, DIY, "mama and papa eats," and much more. Why Mama Miss is a Top Home Cooking Blog: Mama Miss is your go-to family crafts/cooking/activity blog, with plenty of new and useful content. 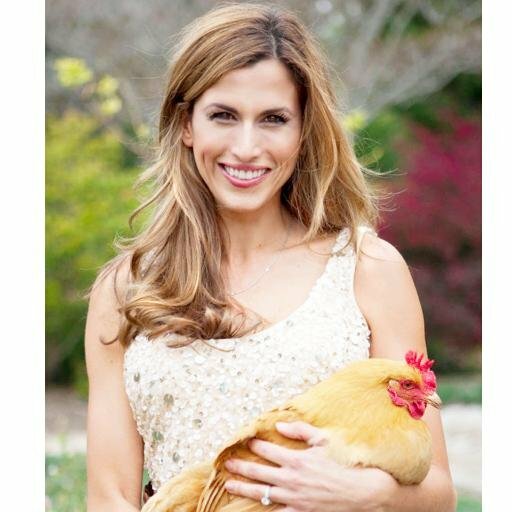 Never Enough Thyme blog is the creation of Lana Stuart, a southern cook who definitely knows how to cook traditional southern classics, but isn't afraid to branch out to new ways of cooking. Why Never Enough Thyme is a Top Home Cooking Blog: Southern cooking is delicious and filling, and on the Never Enough Thyme blog, you can access all of the classics plus more. The 99 Cent Chef, a frugal cooking blog with extremely easy-to-follow tutorials, combines its creator's love of cooking with his love of saving money. Why The 99 Cent Chef is a Top Home Cooking Blog: You don't need to spend a lot to eat like royalty - check out The 99 Cent Chef if you want to start saving money and cooking delicious, healthy food. 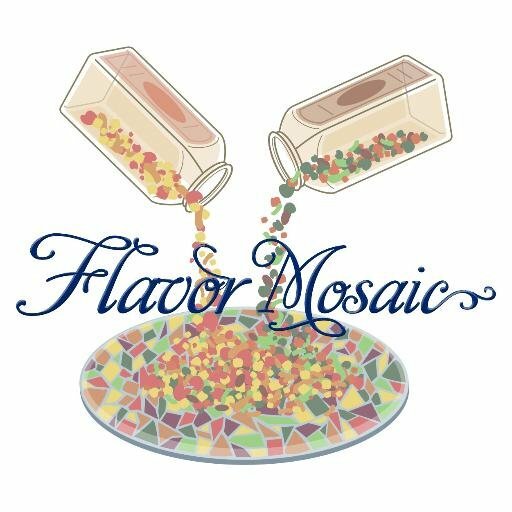 Flavor Mosaic is the culinary creative outlet of home cook Michele, who wants to share her love of cooking and creativity. Flavor Mosaic features fast, easy, flavorful recipes with a Texas twist. Why Flavor Mosaic is a Top Home Cooking Blog: Michele of Flavor Mosaic learned how to cook later in life, and makes her recipes easy to follow, even if you have no cooking experience. 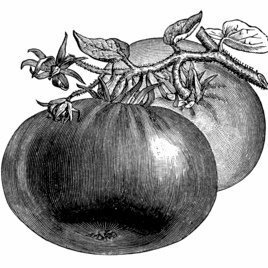 Andrea's Recipes is a southern cooking blog that features a collection of original, family, and other recipes that Andrea has collected over the years. Why Andrea Meyers is a Top Home Cooking Blog: Andrea Meyers also has a "Cooking with Kids" section that is full of recipes that you and your children can cook together. 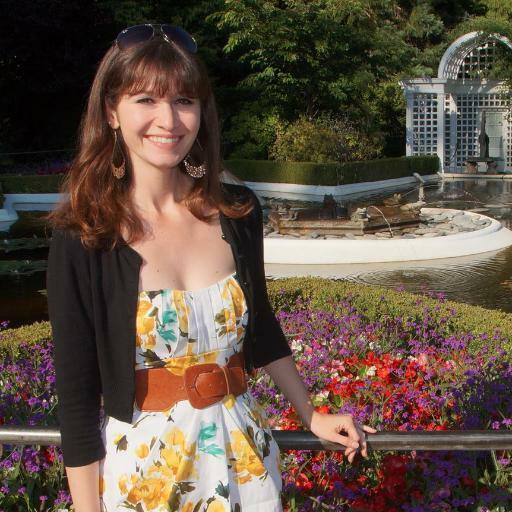 Kristianne is the writer behind My San Francisco Kitchen, a food and recipe blog that brings tried and true recipes that you can even cook in a tiny kitchen. Why My San Francisco Kitchen is a Top Home Cooking Blog: If you are looking for some healthy, West Coast-inspired dishes, make sure to check out the recipe section on My San Francisco Kitchen. Casa Yellow is a blog in which its creator Sarah writes about cooking and food, culture, gardening, rurality, travel, and anything else she finds interesting, all from her yellow house. Why The Yellow House is a Top Home Cooking Blog: The Yellow House is an amazing resource if you have some ingredients but don't know what to make - the recipes are categorized by ingredient, which is extremely helpful. Crazed Mom is actually a team of two moms who have a passion for cooking, home & garden, and DIY projects that can be fun and useful. Why Crazed Mom is a Top Home Cooking Blog: Crazed Mom blog offers easy-to-follow, homestyle recipes that are great for any level cook. 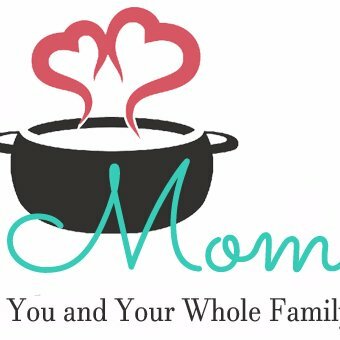 The Mom Chef is run by a "regular mom" who has lived a very international life, and wants to teach you how to cook like a mom should. 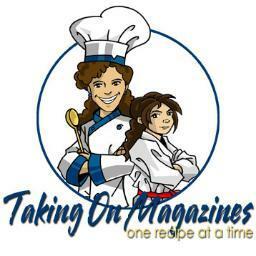 Why The Mom Chef: Taking on Magazines is a Top Home Cooking Blog: The Mom Chef has a unique recipe section that is categorized and easy to navigate, so you can cook like your mom does. La Bella Vita Cucina blog, which focuses on Italian food classics, is run by authentic grandmother Nonna Roz. Why La Bella Vita Cucina is a Top Home Cooking Blog: If you want to try some authentic Nonna recipes, there is no better place to start than La Bella Vita Cucina. Janette, the redhead behind Culinary Ginger, brings her British roots to Southern California where she creates new recipes and documents them with wonderful photography. Why Culinary Ginger is a Top Home Cooking Blog: Check out the recipe index on Culinary Ginger for a variety of British-inspired recipes like British Steak and Ale Pie. Jessie Cross is The Hungry Mouse, a home cook who has photo-based recipes to literally show you how to cook each creation. Why The Hungry Mouse is a Top Home Cooking Blog: The Hungry Mouse blog is a great resource for visual learners, or for people who want to know what they should expect in the kitchen. Elly Says Opa. is a blog run by Elly, a home cook and mom who loves to eat and cook. Why Elly Says Opa! is a Top Home Cooking Blog: The Library section on Elly Says Opa. has some great suggestions if you love to read and cook. 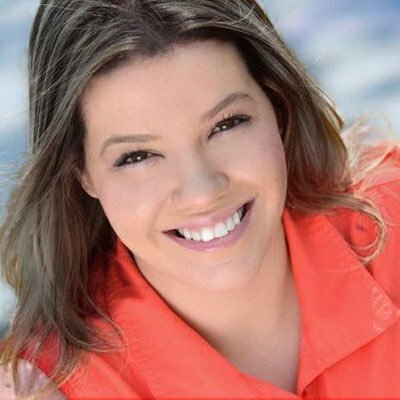 From Brazil to You - also known as Easy and Delish - is a Brazilian food and cooking blog created by Denise Browning, a native Brazilian and trained chef. Why From Brazil to You is a Top Home Cooking Blog: From Brazil to You is the biggest English language Brazilian cooking blog on the web, and features hundreds of authentic Brazilian recipes. The blog focuses on easy and quick recipes. Sweetnicks is a food blog based around story telling through photos, words, and recipes. 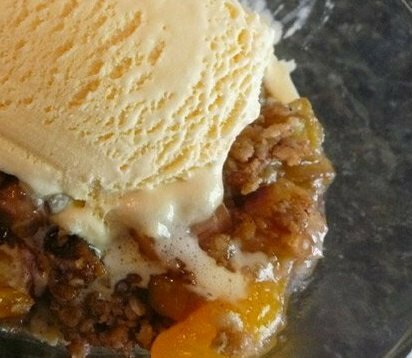 Why Sweetnicks is a Top Home Cooking Blog: The recipes on Sweetnicks are very easy to follow and straightforward, and there are many to choose from. Valerie's Kitchen is one mother's way of documenting the recipes that her sons love so that they can enjoy them once they leave for college and beyond. Why Valerie's Kitchen is a Top Home Cooking Blog: Valerie's Kitchen features simple, seasonal meal solutions for busy households with easy-to-follow instructions. Carrie's Experimental Kitchen features family-friendly and easy-to-create recipes that don't require a lot of ingredients. Why Carrie's Experimental Kitchen is a Top Home Cooking Blog: The recipe index on Carries Experimental Kitchen blog has everything you need for appetizers, desserts, dinner and more. Dionne created Try Anything Once as a way of documenting her family's meals as well as to mentor her daughter Tay in creating a small business. 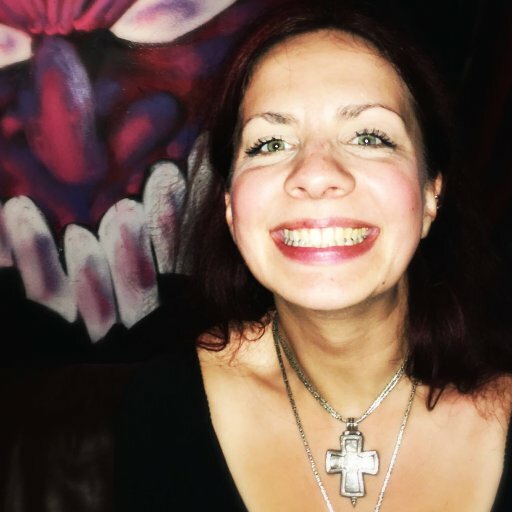 Why Try Anything Once is a Top Home Cooking Blog: Dionne of Try Anything Once was in the coffee industry for 13 years, and has an awesome drinks section. Mennonite Girls Can Cook has an interesting approach to a cooking blog: it urges readers to think about hospitality versus entertaining, and finding the joy in blessing rather than impressing. Why Mennonite Girls Can Cook is a Top Home Cooking Blog: For anyone who has a big event coming up, check out Mennonite Girls Can Cook for some extra large and wholesome recipes. Muy Delish blog features hearty, home-cooked recipes that integrate healthy whole foods with amazing, step-by-step instructions and photography. Why Muy Delish is a Top Home Cooking Blog: The aesthetic and easy-to-follow recipes really make Muy Delish a top recipe blog that everyone should check out. 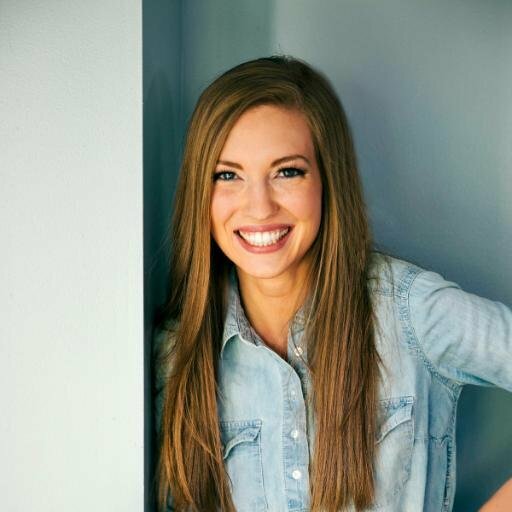 Lisa is the creator of Panning The Globe blog, whose mission is to share the most delicious recipes in the world, one country at a time. Why Panning the Globe is a Top Home Cooking Blog: You can search recipes by continent, which is an awesome and unique feature of Panning the Globe recipe blog. Tramplingrose is a food blog that focuses on cooking and baking in small town South Dakota. Why Tramplingrose is a Top Home Cooking Blog: For great recipes like Buffalo chicken hand pies, chicken pie, or cheeseburger pie, hit up Tramplingrose blog's "Pies/Tarts" section. Sumptuous Spoonfuls is a collection of eclectic, healthy, and delicious recipes that are created to cut out processed and refined sugar and incorporate nutritious ingredients as much as possible. Why Sumptuous Spoonfuls is a Top Home Cooking Blog: Sumptuous Spoonfuls is updated all the time with new creations like Smoky Broccoli Beer Cheese Soup, Kung Pao Cauliflower, and much more. Sassy Kitchen features a collection of recipes inspired by seasonal, whole foods, and also happen to be gluten-free. Why Sassy Kitchen is a Top Home Cooking Blog: Sassy Kitchen blog features a variety of recipes that range from vegan to gluten-free to other special diets like Paleo or ketogenic. Seasonal & Savory is a food and recipe blog that focuses on whole foods and unprocessed ingredients, with an emphasis on produce. Why Seasonal & Savory is a Top Home Cooking Blog: Check out the Seasonal Recipe Index to find dishes to try during the winter months, when it becomes harder to incorporate local produce and ingredients into your meals. The Healthy Family and Home is a food and lifestyle blog that shows you how to cook easy and healthy recipes that your family will love. Why The Healthy Family and Home is a Top Home Cooking Blog: The Healthy Family means what they say: all recipes are very healthy and include fresh fruits and vegetables, non-GMO, unprocessed foods, and superfoods. Mooshu Jenne started as a way of documenting new recipes and kitchen creations, and has grown into a full-fledged recipe, travel, and DIY blog. 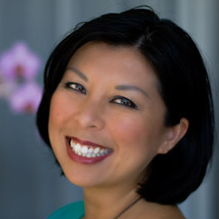 Why Mooshu Jenne is a Top Home Cooking Blog: Like many people, Mooshu Jenne was inspired by her grandparents (who have had her cooking for a long time), and now shares her family recipes with anyone who wants to learn. My Baking Heart is a blog run by Jessica, who loves to showcase her love of baking and cooking, photography, antique collecting, and home keeping. Why My Baking Heart is a Top Home Cooking Blog: Jessica updates her Baking Heart blog very frequently, so there is always something new to learn, whether it be chocolate chip butter cookies or pumpkin spice twists. 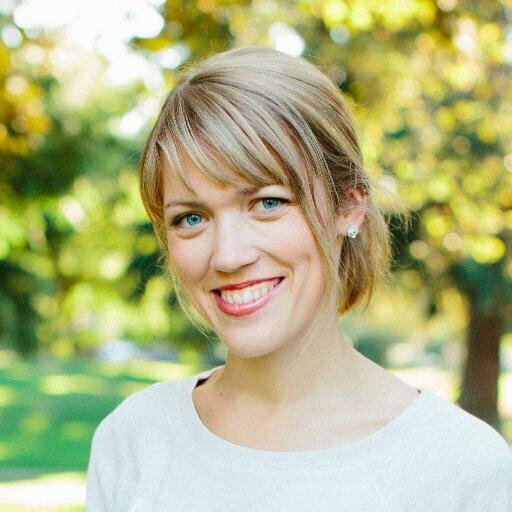 Melissa Belanger runs Simply Whisked, a recipe blog meant for sharing, inspiring, and teaching different recipes that she enjoys. Why Simply Whisked is a Top Home Cooking Blog: Simply Whisked's "Whisked Life Archives" feature books, DIY, family, style, and cooking tips that are helpful for any homemaker. Pen & Fork is a cooking blog that features recipes, cooking tips, cookbook reviews, practical how-to cooking techniques, and articles on the latest food trends and other culinary finds. Why Pen & Fork is a Top Home Cooking Blog: Check out the recipes on Pen & Fork for classics like Cast Iron Cornbread and Vietnamese Grilled Chicken Thighs. Girl Gone Gourmet is a food and cooking blog that features comfort food recipes created by April. Why Girl Gone Gourmet is a Top Home Cooking Blog: If you want a variety of new recipes to try, make sure to check out Girl Gone Gourmet for recipes from appetizers to main courses. Food, Fashion and Fun is a lifestyle blog that covers lifestyle + travel, entertaining, home + garden, food + drink, and fashion + style. The blog features original photography and recipes. Why Food Fashion and Fun is a Top Home Cooking Resource: Food, Fashion and Fun hits on all the key points of hosting a party or making your home welcoming, so make sure to check out each section and see what will work for you. 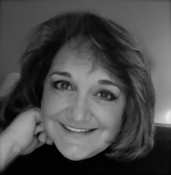 Lori Monte, The Kitchen Whisperer, updates her blog almost daily with new recipes and kitchen tips. Why The Kitchen Whisperer is a Top Home Cooking Blog: The Kitchen Whisperer has a really awesome feature - a weekly menu - that is updated all the time so you always have something new to cook. Catz in the Kitchen is a family and cooking blog that has one goal: to help families cherish the valuable time they spend together around the dinner table. Why Catz in the Kitchen is a Top Home Cooking Blog: The recipe index on Catz in the Kitchen features easy-to-follow, wholesome recipes that will bring your family together with some delicious food. Once Upon a Chef is a food blog run by Jenn Segal, a classically trained chef, recipe developer, and busy mom. Why Once Upon a Chef is a Top Home Cooking Blog: Busy people can benefit from Once Upon a Chef's recipe index, which features easy-to-follow instructions and plenty of options. Janelle, a mother and home baker, shares her creations and kitchen tips on her blog, Num's the Word. Why Num's the World is a Top Home Cooking Blog: Num's the Word features a variety of recipes designed for any home cook, and has a huge section devoted to bread that is definitely worth checking out. Mom on Timeout is a recipe, DIY, and crafts blog run by Trish, a mom who enjoys her timeouts. Why Mom on Timeout is a Top Home Cooking Blog: Mom on Timeout has so many specialty recipes for occasions like the Superbowl, Valentine's Day, and many other occasions that are often overlooked on other food blogs. Read: Almond Joy Cookies - Just 4 Ingredients! 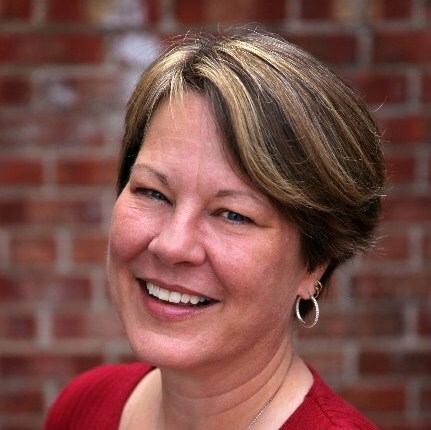 Virginia Willis is an accomplished chef who has cooked with Julia Child and for former President Clinton, among other feats, and is a full-time blogger and food writer. 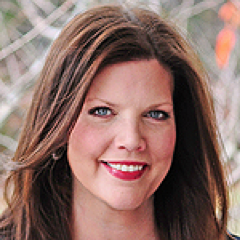 Why Virginia Willis is a Top Home Cooking Blog: For savory southern recipes like sinless seven layer dip, peachy keen chicken salad, or classic southern biscuits, look no further than Virginia Willis' blog. 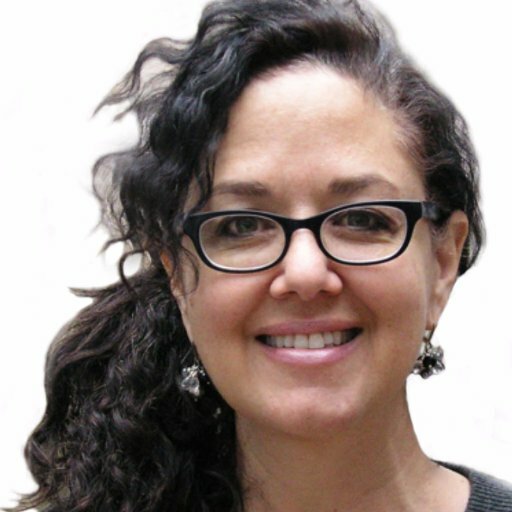 The Colors of Indian Cooking is a unique cooking and recipe blog run by an Italian American screenwriter and home cook. Why The Colors of Indian Cooking is a Top Home Cooking Blog: There are over 600 recipes on The Colors of Indian Cooking, mostly Indian, but also Italian and desserts, lots of vegan and gluten free also. Read: The Colors Of Indian Cooking: Introducing "The Chaunk", Our Store is Live, And Our Indian Spice Kit Now Available Online. 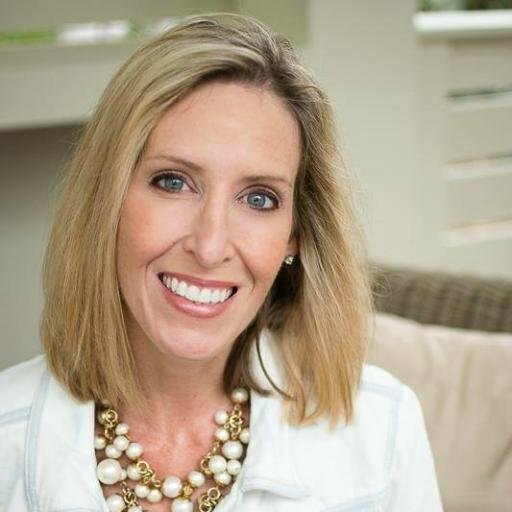 Christine Carlisle is the blogger who runs Chew, Nibble, Nosh, which is dedicated to providing families with healthy, quick, and easy recipes. Why Chew Nibble Nosh is a Top Home Cooking Blog: The recipe box on Chew, Nibble, Nosh features hundreds of recipes that were created for any level chef so that they can provide a healthy and delicious meal. Go Go Go Gourmet is a blog that features recipes that are sure to be loved, and are created from easy-to-find ingredients that are put together with minimal time and energy. Why Go Go Go Gourmet is a Top Home Cooking Blog: The photography on Go Go Go Gourmet makes you really want to get go go going; make sure to check out the Breakfast & Brunch archive. 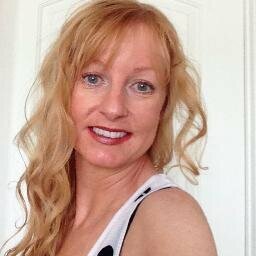 Joanie is a food photographer and cook who shares her recipes through high quality photographs and YouTube videos. Why Joanie Simon is a Top Home Cooking Blog: Joanie Simon's YouTube videos are HD, easy to follow, and full of delicious recipes that anyone can learn to make. Jeanie and Lulu's Kitchen is a food and recipe blog run by Leigh Suznovich and is devoted to her two grandmothers. Why Jeanie and Lulu's Kitchen is a Top Home Cooking Blog: When you need to whip something up in a pinch, make sure to check out Jeanie and Lulu's Kitchen for some 20 Minute Meals. Claudio Lamascolo runs What's Cookin' Italian Style Cuisine, a blog dedicated to authentic Italian recipes. Why What's Cookin' Italian Style Cuisine is a Top Home Cooking Blog: The recipe index on What's Cookin' Italian Style Cuisine features hundreds of recipes that will make your Nonna proud. Alice is the Hip Foodie Mom who wants to share some inspiration and tasty recipes that anyone can try. 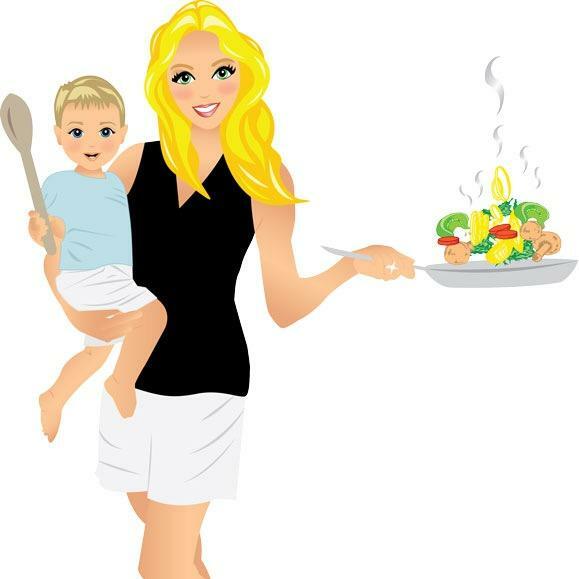 Why Hip Foodie Mom is a Top Home Cooking Blog: There is a huge offering of recipes on Hip Foodie Mom, from meat dishes to vegetarian and everything else. Keys to the Cucina is a food blog that includes easy and approachable recipes with no more than 15 ingredients and minimal prep time. Why Keys to the Cucina is a Top Home Cooking Blog: Keys to the Cucina is updated frequently with new recipes and food reviews. 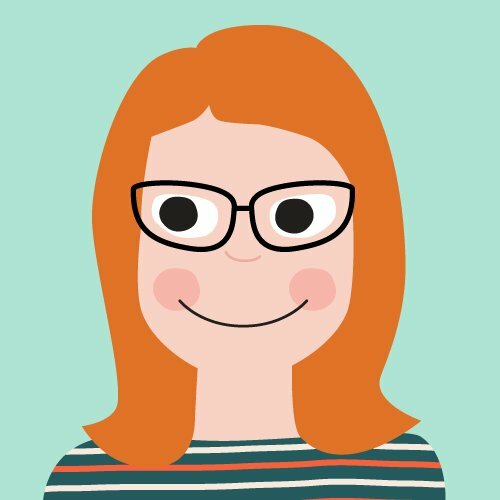 Sara O'Donnell is the creator of Average Betty, (an online cooking show and) blog about food, recipe creation, and kitchen tips. Why Average Betty is a Top Home Cooking Blog: Make sure to check out Average Betty's not so average YouTube recipe videos. Barbara Bakes is a blog that shares recipes for cookies, cakes, pies, breads and more, including kitchen creations and adventures. Why Barbara Bakes is a Top Home Cooking Blog: Barbara shares her homestyle recipes for baking bread, breakfast and dinner. The Zen of Slow Cooking was created to help create success in the kitchen by providing simple, straightforward, whole food recipes that can be prepared in 20 minutes or less. Why The Zen of Slow Cooking is a Top Home Cooking Blog: Check out the inspirations on The Zen of Slow Cooking to find a new recipe to try in the slow cooker. Hilah Cooking blog features short-form, educational, and occasionally hilarious cooking videos geared towards beginner and intermediate cooks, as well as people who are just looking for simple, low-cost recipes. Why Hilah Cooking is a Top Home Cooking Blog: Hilah makes amazing YouTube videos that show you how to cook a dish step by step. 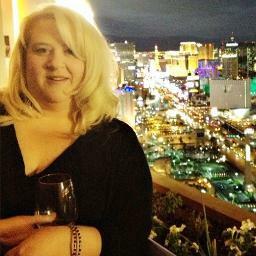 Heather runs All Roads Lead to the Kitchen, a blog devoted to the value that international cuisine brings to your life. Why All Roads Lead to the Kitchen is a Top Home Cooking Blog: Heather frequently updates her blog with amazing new recipes like Apple Cinnamon Stuffing Muffins, Bacon-wrapped Water Chestnuts, and much more. Share on Facebook "Best Home Cooking Blogs"